Almotamar.net - Yemen's foreign minister Dr Abu Bakr al-Qirbi said on Friday that the Houthi saboteurs blocked Doha agreement by refusing to descend from Azan Mountain in Saada province in accordance with terms of the agreement. almotamar.net - Field reports by the local authority in Saada province, north Yemen, on Saturday disclosed the killing of more than 65 citizens and injuring of more than 107 others, among them government employees in armed attacks and terrorist acts perpetrated by the al-Houthi elements of sabotage and terror in different areas of Saada districts since the declaration of ceasing military operations on 17 July 2008. 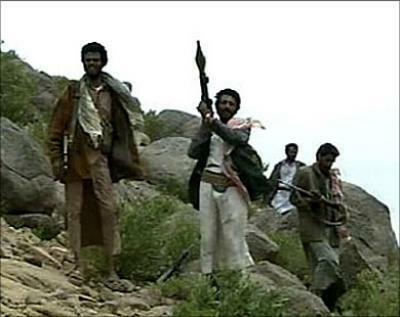 Almotamar.net, Saba - Yemen has said that the al-Houthi rebel group had committed terrible crimes against innocent citizens in the northwestern province of Saada, where fierce fighting is being broken out between the rebels and the government forces.